So it is with our lives. Those who want to live meaningfully and well, must help enrich the lives of others. For the value of a life, is measured by the lives it touches. And those who choose to be happy, must help others find happiness; the welfare of each is bound up with the welfare of all. Know this secret as you grow older! 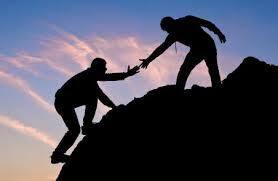 In life, when you help the people around you to be good, you surely become the best. Always bear in mind that "Real happiness is helping others". And that’s the greatest commandment.